Well-placed in the religious interests, sightseeing, culture area of Kyaikhtiyo city, Lotus Da Dar provides a most conducive spot for you to take a break from your busy days. From here, guests can enjoy easy access to all that the lively city has to offer. With its convenient location, the hotel offers easy access to the city's must-see destinations and to the nature around the hotel. At Lotus Da Dar, the excellent service and superior facilities will give you an unforgettable stay. There is a restaurant with Myanmar/Thai based kitchen and draught system at the bar. Guests of the hotel can enjoy on-site features like daily housekeeping, 24-hour security, ticket service, luggage storage, Wi-Fi in public areas, laundry etc. Lotus Da Dar is home to 22 bedrooms. All are tastefully furnished and provide such comforts as towels, closet, clothes rack, linens some a TV. Besides, the hotel's host of recreational offerings ensures you have plenty to do during your stay. 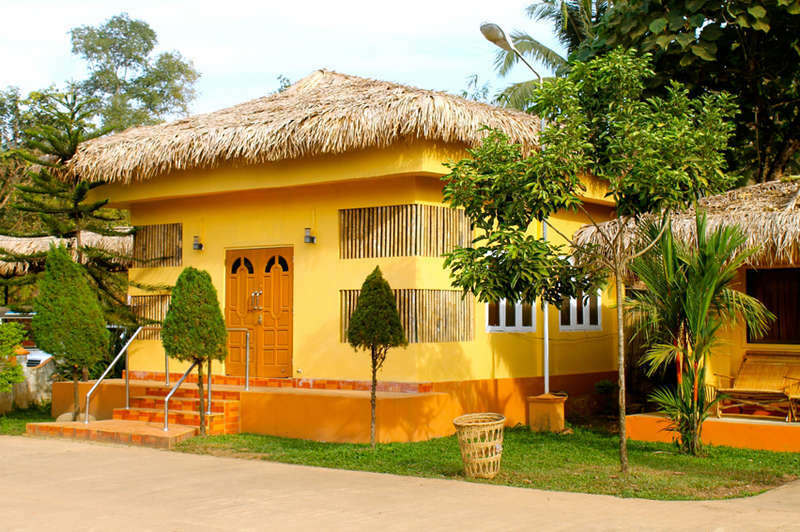 Lotus Da Dar is an ideal place of stay for travelers seeking charm, comfort and convenience in Kyaikhtiyo. The hotel is situated between the main Bus stop where the buses are departing to the Golden rock and the Main gate of the golden rock. It's about a 10 minutes walk from the bus station in the direction of the main gate to the Golden Rock. You will find the hotel on you right site. At the bus station there are many cycle taxi's that you also can book for 1500 kyat to 2000 kyat. 30 days prior to arrival no cancellation fees. All early check-in and late check-out must be advised upon reservation and this will subject to availability of the hotel. Children 3-12 year(s)Stay for free if using existing bedding.